Penh Lenh is a retailer based in Phnom Penh, Cambodia that employs female artisans working to build new lives for themselves and their families. They craft handmade jewelry, accessories, and apparel with the mission of empowering marginalized and at-risk women in Cambodia to pursue their life goals through quality education and sustaining employment. In 2017, I collaborated with McFarlane Photography on a pro-bono consulting project to redesign the Penh Lenh website on Squarespace. It launched July 2017. The old Penh Lenh site was functional for eCommerce, but it didn't tell the story of the women behind the business. 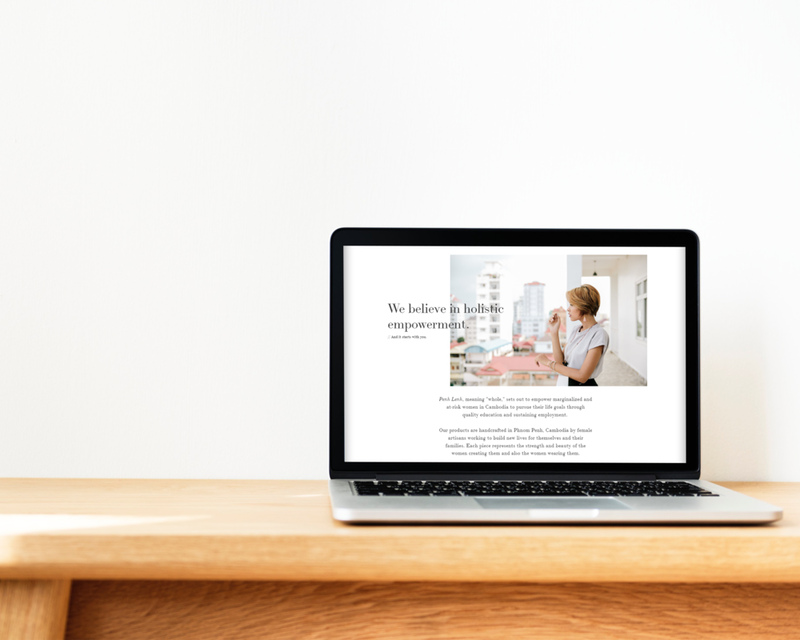 We worked with Penh Lenh founder Rachel Dodson to understand the heart of their work and draw out their mission of empowerment through the layout of their website, focusing their message through copywriting and formatting. A retailer with a mission like Penh Lenh's has an inherent strength - the artisans behind every piece. Our goal with the site was to emphasize the true impact of the work being done through Penh Lenh while maintaining sensitivity to the individual situations of each artisan.